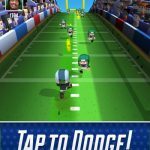 The 2015 NFL season has just started, but what if you’re looking for a mobile game that doesn’t force you to think about which quarterback to start? What if you want a mobile game that won’t confuse you with all those numbers? American football, after all, has different kinds of stats for different positions. 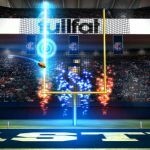 What if, in short, you want a more casual type of pro football-based game? 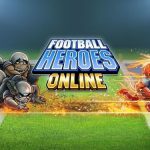 Touchdown Hero: New Season may be the game for you. Once again, all you have to do is create your own player, customize him, and have him score touchdown after touchdown with his speed and strength and special moves. The choice is solely yours here – it’s your own created player, and not your pick of 32 NFL running backs. And you’ve got no offensive line to work with – we should warn you about this as well. 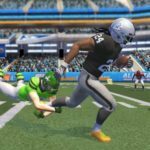 So if you’re looking to score more touchdowns in this game, we’ve got some Touchdown Hero: New Season tips and tricks that you may find useful. Most endless runners are time tests that force you to think on your feet and make full use of your reflexes. Touchdown Hero: New Season, fortunately, allows you to take your time, strategize, and make sure you’re making the right move. The defenses get tougher as you go along, so it makes sense to take time out to formulate a plan. You can turn the players, including your own, into X’s and O’s by lifting your finger off the display; this can help a lot. Doing what we told you above will slow down the game, thus allowing you to call a quick action play. Take note, however, that leaving the game in that mode for too long without taking any action would cause it to switch back to normal mode; that’s where you would have to act quickly. When doing your tap-and-hold gestures, do it at as point that’s far away from any of the defenders. It’s very easy to spot defenders that come to you from the front, but the ones that appear from the sides could be very sneaky. They can hit your player right out of nowhere, and they tend to rush you at higher speeds than the ones in front. Always be alert for defenders, but especially the ones coming from the left and right side. As this is a casual pro football game, Touchdown Hero: New Season ends whenever your character gets hit by a defender; this isn’t like the real world, where running backs get up and prepare for the next down after getting tackled. That said, you can watch an ad video after your game ends. After you complete the video, you’ll respawn from where you left off, and you won’t have defenders near you, so as to allow you to get back into the groove of things.